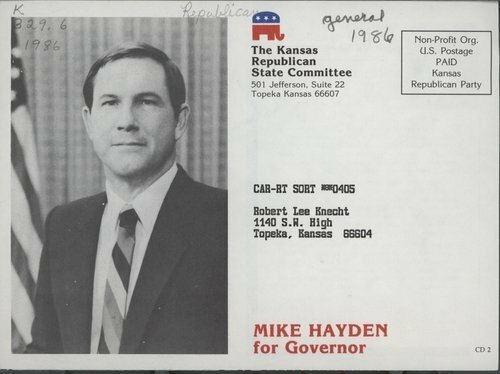 This political postcard shows Republican candidate for Kansas governor, Mike Hayden. On the backside of the card, President Ronald Reagan urges voters to cast their vote for the Kansas Republicans. In the November general election Mike Hayden defeated Democratic challenger Tom Docking for governor.